Samsung’s fourth quarter financial report reveals a rather interesting fact. It just about confirms that the Samsung Galaxy S6 smartphone will indeed be made from metal and glass like rumours suggest. Indeed, the company will be ditching plastic bodied handsets per se. Can we get a “Hell, yeah”? The report reveals that Samsung’s mobile division performed badly in 2014 with “weak earnings” and therefore the company is to embark on a new strategy for its smartphones and tablets. Microsoft has launched a new Outlook app for iOS and Android, and it sports a rather familiar look. 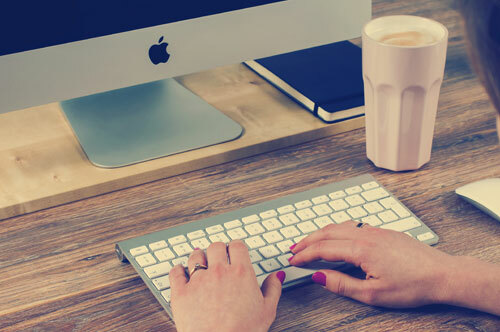 The new apps replace the previous web app efforts from Microsoft, and appear to offer a much more powerful and fully featured email management experience. Indeed, we’ve seen many of the moves on display here before. Huawei’s last Windows Phone was launched almost two years ago, and the firm has no plans to get back into Microsoft’s software platform. TechRadar spoke to Shao Yang, Huawei’s CMO for Device, during a special briefing at the firm’s campus in Shenzhen, who explained why we haven’t seen any more Windows Phone. Security researchers at Qualys have discovered a Linux vulnerability, naming it ‘Ghost’. The vulnerability affects the GNU C Library (previously known as glibc) in Linux systems, triggered by calling the get host by name functions in glibc, used to resolve domain names into IP addresses. In real terms, this means attackers can take control of a system without knowing any login data. In the past 14 months, cyber thieves stole some £141.5 million ($215m) from businesses, the FBI claims. As online security blog Krebs on Security writes, the scams start when business executives or employees have their email accounts hijacked. The scams include companies working in the US, as well as those in other countries. Federal investigators say the so-called “business email compromise” (BEC) swindle is a sophisticated and increasingly common scam, targeting businesses working with foreign suppliers and/or businesses that regularly perform wire transfer payments. Australia’s national airline, Qantas, announced Thursday it will start using Samsung’s virtual reality device, Gear VR, on some of its flights. The company said in a statement it is launching the service for first-class customers on a three-month trial basis. The VR devices will be available for passengers flying with Qantas in first class on selected A380 flights between Australia and Los Angeles along with being available in the international first class lounges in Sydney and Melbourne. Spotify and Sony Network Entertainment International are launching this spring a premium music service called PlayStation Music, offering over 30 million songs as background music to PlayStation games. The service will initially only be accessible on Sony game consoles and Xperia devices worldwide, reaching 64 million players logged into the PlayStation Network. Nintendo has launched the Nintendo Creators Program for YouTube users. Available now as a beta version, the service gives users of the video-sharing website a portion of the advertising proceeds received from YouTube for their Nintendo-related videos. Prior to the scheme, advertising proceeds that could be received for videos that included Nintendo properties – such as gameplay videos and user-generated content – went to Nintendo. Coronation Street and Emmerdale will feature Visa’s contactless payment technology for nine months from February in a six-figure deal. It is the first time that ITV has sold a product placement package that covers both soaps. The deal was negotiated by MEC. The payment terminals will feature in Dev’s shop and Nick’s Bistro in Coronation Street, and in David’s shop and Café Main Street in Emmerdale. Liberty Communications, the integrated digital marketing communications agency, today announced that it has been selected by Donky, a Dynmark brand, to support the launch of the company into the UK and US market and grow brand awareness. Focusing on positioning Donky’s unique capabilities to support marketers, retailers, banks and gaming companies on their journey into the connected world, the campaign started in November and comprises of media and analyst relations, content creation and event management. 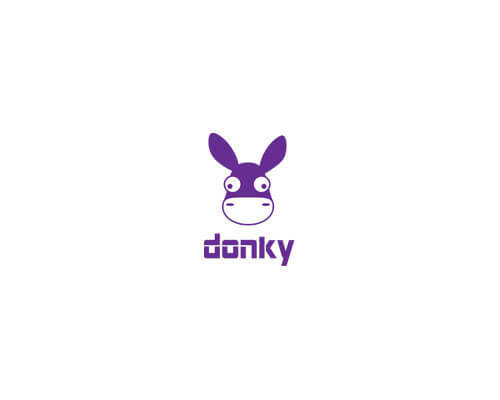 Donky leverages the capabilities of a cloud-based Over the Top (OTT) network to allow their customers – leading retailers, gaming companies and banks – to connect, identify and interact with their customers, via apps, online channels and any other web enabled device. Liberty Communications was appointed after a competitive pitch process, which took place in late 2014. CES 2015 is now in full swing and Acer has brought along its new budget 4G smartphone, the Liquid Z410. Although Acer is more commonly known for its laptops such as the Acer Chromebook 15, which has also just been announced at CES 2015, it has also been diligently producing budget Android smartphones as well. The Liquid Z410 is set to follow in the footsteps of the Acer Liquid Jade and Acer Liquid E3 handsets by offering an affordable mid-range Android experience. Nvidia today unveiled Tegra X1, its next-generation mobilesuper chip with over one teraflops of processing power, delivering unprecedented graphics to mobile applications, car dashboards as well as auto-pilot systems. Tegra processors are built for embedded products, mobile devices, autonomous machines and automotive applications. Nokia always had a reputation for building well-made, affordable handsets that appeal to the hundreds of millions around the world who can’t afford full-fat smartphones — and Microsoft is apparently keen to continue that legacy. Eight months after buying Nokia, the US company has launched the new Nokia 215. It costs just $29 pre-tax and is aimed at emerging markets, offering customers 29 days of battery life on standby, a dual-SIM option, a built-in torch, and FM Radio. There’s also a 2.4-inch, 320 x 240 display, a 0.3-megapixel camera, and Bluetooth connectivity. Crucially, however, Microsoft say the 215 is their “most affordable Internet-ready entry-level phone yet,” offering the Opera Mini mobile browser and a limited array of pre-installed apps including Twitter, Facebook, Messenger, and Bing Search. Nokia Networks has completed the acquisition of the network business from Japanese firm Panasonic, including its 3G and LTE base station systems and related equipment. The Finnish infrastructure vendor said the integration of the new resources will improve efficiency and quality control of its product development and R&D. According to Nokia, the business purchase, which included fixed assets, employees and relevant contracts in Japan, will enhance its existing mobile broadband capabilities and grow its market share in base stations in the country. As outlined by the networking specialist at the time it first announced its intentions of the acquisition, Japan is a key focus market for Nokia. Google Glass has yet to set the world alight, but that isn’t stopping other large technology companies from investing in the smart eyewear market. The latest is Intel, paying $24.8million for a 30% stake in US firm Vuzix, which has made its name with devices aimed at consumers and workplaces – for example hospitals, warehouses and call centres – alike. Vuzix says it will use the investment to speed up the development of its next line of “fashion-based wearable display products”, following the launch of its M100 device in 2014 through a partnership with another tech firm, Lenovo. Sales of tablets are expected to slow down during 2015. According to analyst Gartner, people are keeping their tablets longer and handing down older tablets to members of their family. Gartner estimated that worldwide tablet sales will reach 233 million units in 2015, an 8% increase from 2014. Netflix will be among the first content providers when Roku commences support for 4K Ultra HD streaming. In the run up to CES, Roku confirmed it has produced a reference design that will be licensed to TV OEM partners. Manufacturer TCL has been confirmed as an initial partner. Bono has praised Apple and Spotify for their efforts to pay musicians for downloads and streams of their music, while claiming that songwriters still get “a poor deal” in the digital era. The U2 frontman’s latest comments on digital music came in a blog post published on the band’s website to mark the start of 2015, written while recovering from a serious cycling accident.